Tax, Title and Tags not included in vehicle prices shown and must be paid by the purchaser. While great effort is made to ensure the accuracy of the information on this site, errors do occur so please verify information with a customer service rep. This is easily done by calling us at (843) 979-3400 or by visiting us at the dealership. 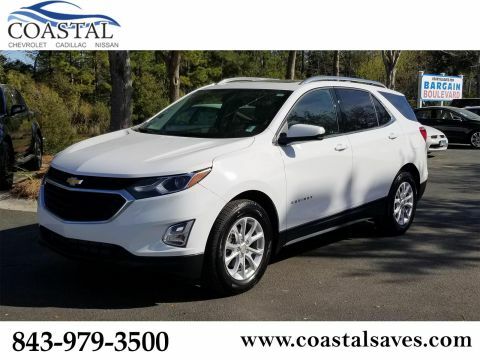 FUEL EFFICIENT 28 MPG Hwy/22 MPG City!, $2,200 below NADA Retail! GREAT MILES 7,950! 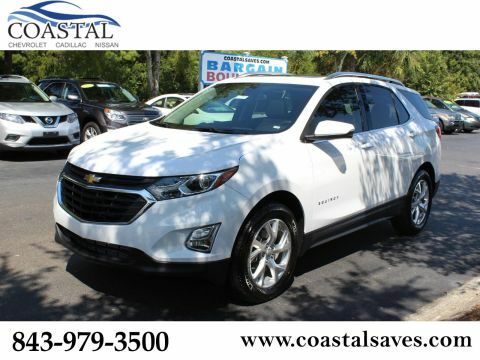 Navigation, Heated/Cooled Seats, Turbo Charged, Alloy Wheels, All Wheel Drive, Back-Up Camera, Heated Rear Seat, Power Liftgate, Trailer Hitch SEE MORE! 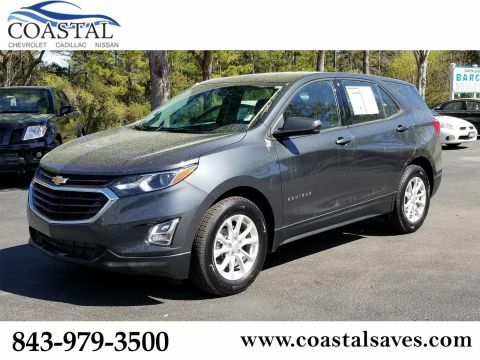 All Wheel Drive, Power Liftgate, Heated Driver Seat, Heated Rear Seat, Cooled Driver Seat, Back-Up Camera, Satellite Radio, Onboard Communications System. Keyless Entry, Remote Trunk Release, Privacy Glass, Child Safety Locks, Steering Wheel Controls. INFOTAINMENT II PACKAGE includes (IO6) Chevrolet MyLink Radio with Navigation and 8 diagonal color touch-screen, (UQA) Bose premium 7-speaker system and (U2L) HD Radio, LPO, HIT THE ROAD PACKAGE includes (VLL) Roof rack cross rails, LPO and (VXW) Molded assist steps, LPO, AUDIO SYSTEM, CHEVROLET MYLINK RADIO WITH NAVIGATION, 8 DIAGONAL COLOR TOUCH-SCREEN and AM/FM stereo, includes Bluetooth streaming audio for music and most phones; featuring Android Auto and Apple CarPlay capability for compatible phones, ENGINE, 2.0L TURBO, 4-CYLINDER, SIDI, VVT (252 hp [188.0 kW] @ 5500 rpm, 260 lb-ft of torque [353.0 N-m] @ 2500 - 4500 rpm) (STD), TRANSMISSION, 9-SPEED AUTOMATIC, ELECTRONICALLY-CONTROLLED WITH OVERDRIVE includes Driver Shift Control (STD). 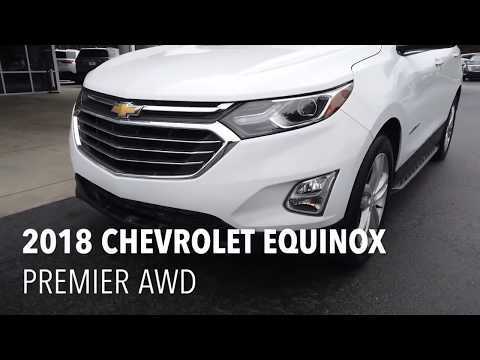 Chevrolet Premier with SUMMIT WHITE exterior and MEDIUM ASH GRAY interior features a 4 Cylinder Engine with 252 HP at 5500 RPM*. There's plenty of leg- and headroom for tall passengers in all outboard seats, and the backseats fold flat at the pull of a lever to increase the size of the cargo area. -Edmunds.com. Great Gas Mileage: 28 MPG Hwy. This Equinox is priced $2,200 below NADA Retail. By submitting this form you agree to be contacted by a Coastal Saves staff member.